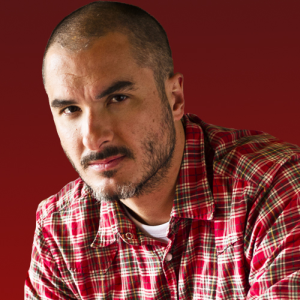 Zane Lowe, well-known in Britain and around the world for his weeknight music-discovery radio show on the BBC, has taken a position at Apple in Cupertino. His final show will air on March 5. Lowe is best known for promoting unknown musicians, some of whom (Ed Sheeran, Adele, Arctic Monkeys) emerged as successful recording artists. Lowe’s exact role at Apple is unknown — a knowledge void filled with speculation. While the BBC’s formal announcement barely mentions Apple (“The 41-year-old DJ, who joined the network in 2003, is moving to the US to work at Apple.”), other publications which focus more on digital music than analog are focusing their coverage on how Lowe might participate in the Apple’s music ecosystem. Apple, a tech company first and a music company second, is entrenched in algorithmic streaming with its iTunes Radio product, but acquired celeb-driven Beats Music last May. It is natural to imagine Zane Lowe taking a role in one or both of those brands. Much depends on how (or whether) Apple merges Beats into the iTunes-branded music environment — expectation favors that outcome based on rumors and apple’s history of iWhatever brand consolidation. However Zane Lowe’s personality and music expertise manifest in Apple streaming products, the interesting fact is the tech-driven online music is reaching deep into broadcast radio to acquire a traditional key value — the trusted host and music guru.